Epic Sound / sound research / What does the brain sound like? What does the brain sound like? 1. Surgical Saw: This is the real sound of a brain being sliced open with a piece of cheese wire at a hospital in the Ukraine. Many thanks to Geoffrey Smith, director of The English Surgeon, and Angela Saward, Curator of Moving Image & Sound at the Wellcome Library, for providing this track. 2. Wobbling Jelly: This is not the sound of a real brain, but of a block of jelly, which food artisans Bompas & Parr, in association with sound artist Douglas Murphy made in a soundproof studio. This is what a real brain would sound like, as it has the consistency and texture of jelly. 3. 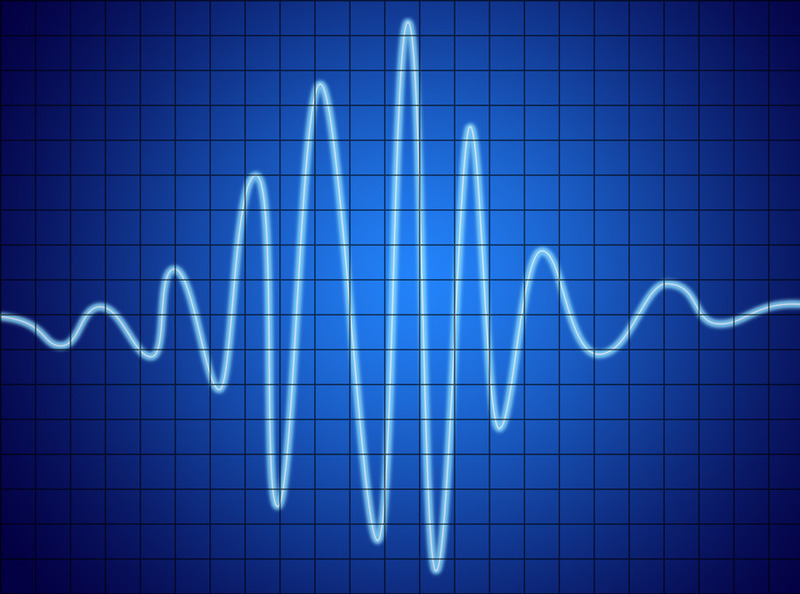 Epileptic Seizure – This is the sonified version of an EEG, recorded in the 1960s. The patient in question was a small child in the 1960s (name withheld for privacy reasons). Many thanks to our benefactors The Wellcome Trust for providing us with this original piece of historical material. 4. Auditory Nerve – This is a single cell nerve recording, taken using a glass needle, stuck into the auditory nerve of a hamster in the 1960s. 5. Cochlear Implant – This is not the real sound of a cochlear implant, but a simulation of what one may sound like to its users. 6. Mosquito Frequency – All of us will lose our ability to hear tones of higher frequencies as we age, due to the thickening of the basilar membrane, the bedrock of the cochlear spiral. Ain’t that but a crying shame. The sound of 17,000Hz will be heard by only the younger audience members. Can you hear it? Editor’s note: We promise that it’s not a fake. 7. Neverending Scale – The Shepard Scale is often compared to an Escher staircase – and even those of us who have heard it over and over find the concept difficult to understand, let alone explain in clear language. The best source I have found online that explains the nature of this illusion is this clip from Bang Goes The Theory. 8. Shepard-Risset Glissando – A variation on the Shepard Scale, but as a glissando. Creepy stuff! Try listening to it over and over and over – we promise it never stops feeling weird. If you look at this youtube clip, which visualises the sound waves, it might make a bit more sense. 9. Binaural Illusion – Our brains use the tiny time differences between sounds reaching our right and left ears to calculate the source of the sound in physical space. Enjoy. 10. Phantom Words – These come from Prof Diana Deutsch of the University of California, who is the master of sonic illusions – some have called her the grand dame of auditory neuroscience. She is one cool cat – and a fantastic example of a scientist who is not only a woman, but also achieves things that are, for lack of a better descriptor, spectacularly original. They can find all the examples of her work online for free on her website. 11. Reconstructed Speech – Dr Brian Pasley is using sophisticated software and intracranial recordings of the brain to reconstruct what words subjects heard, and to reproduce them with computer algorithms. You can read the original paper in PLoS Biology here. 12. Music of the Hemispheres – Prof Dan Lloyd has translated the activity of fMRI recordings of the brain into music – you can watch this video and read more about his work here. Honestly – his theory is really without any rivals, artistically or philosophically. Whether you agree with his hypothesis – that “we are all symphonies” or not – you will at least find the videos and short films edifying. 13. Remix: The Music Of The Mind – An original remix created for us by composer Dean Williams – made entirely from the sound samples from the rest of this tour.